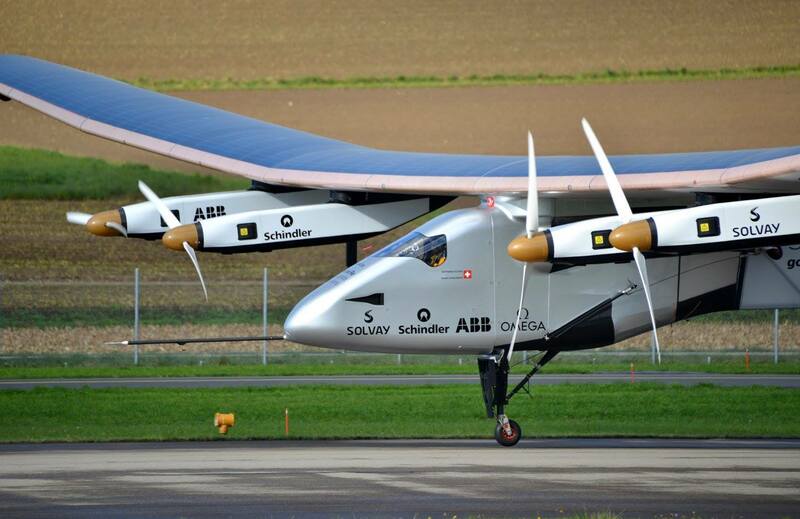 Sustainable flights | Don't Waste My Energy! We all know air travel has negative effects on the environment but just how bad is it? An average plane produces less carbon dioxide per passenger than the average car or bus, but the plane’s energy efficiency lies lower than any other mode of transport. The difference in ranking between energy efficiency and carbon dioxide emissions is due to a difference in fuel types. Thus, it can be argued that air travel and by extension airports do indeed come with a significant carbon footprint. For this I will examine Antwerp international airport. Antwerp international airport claims to have had 37,511 ‘movements’ in 2017. They also specify that takeoff and landing are both considered one ‘movement’. For simplicity’s sake (and a lack of data) I will assume that every flight was commercial and took between 55 minutes (the shortest direct flight) and 175 minutes (the longest direct flight). Under the assumption there were about 18,756 flights in 2017 ranging from 55 minutes to 175 minutes with a fuel usage of 240 liters per minute, Antwerp international airport is directly responsible for the burning of anywhere between 247,579,200 liters to 787,752,000 liters of kerosene. Kerosene releases about 2.58 kilograms of carbon dioxide per liter burned so the airport is responsible for releasing between 638,754,336 and 2,032,400,160 kilograms of carbon dioxide in 2017. That’s about 1,750,012 to 5,568,220 kilograms per day. That’s the same daily carbon emissions as 228,163 to 725,974 cars. Air travel releases oxides of nitrogen that facilitate the formation of ozone. These oxides are the most damaging to the earth’s climate in the upper troposphere (8-13km), the altitude where most airplanes fly. This increase in the amount of ozone contributes greatly to global warming. Airplanes also emit particulates like soot that absorb heat and have a warming effect. Furthermore, soot and other particulates can affect cloud formation, influencing climate change in the process. Finally, these ultrafine particles are especially nefarious because they can drastically reduce the air quality near airports, affecting nearby residents’ health. One of these particulates is composed of ultrafine lead particles. When ingested by humans these particles have negative effects on the red blood cells, the nervous, cardiovascular and immune systems and on the intellectual abilities of young children, who are more sensitive to low levels of lead. Young children who come into contact with lead particles are at higher risk of developing learning disabilities and other behavioral problems. On top of all this, airports can cause water pollution due to their use of various chemicals like jet fuel, deicing fluids and lubricants but despite all kinds of equipment and preventative measures, chemical spills still occur. The most common cause of water pollution by airports is the deicing of aircraft. During this process fluids containing ethylene glycol and propylene glycol are sprayed through a nozzle over the entire airplane. The fluids then fall to the ground and are carried to nearby bodies of water after excessive rainfall. Here they consume vast amounts of oxygen during decomposition, killing aquatic life in the process. Finally, air traffic causes excessive amounts of noise as is evident by the fact that, in 2017 alone, the Antwerp international airport received 1,932 noise complaints from just 330 residents living nearby. What can airlines do to minimize the negative effects of air traffic? Airlines can invest in newer aircraft that are more fuel efficient or use different fuels entirely. Some airplanes can already partially run on biofuels although these fuels don’t necessarily have a smaller carbon footprint as biofuel production uses a lot of land and resources. Alternatively, electrically powered aircraft may become viable sometime far into the future. Currently they’re not practical due to the weight of the batteries required to power sustained flight. Another option to reduce carbon emissions is for airlines to end their equivalent ‘frequent flyer programs’ which reward people who travel regularly. Water pollution could be avoided by taking stricter precautions to collect chemical waste before it has a chance to seep into the ground and pollute nearby bodies of water. Antwerp international airport is trying to minimize noise by enforcing strict rules around when flights are scheduled. The airport is closed at night from 23:00 to 06:30 with exceptions for medical flights and delayed flights. Furthermore, they’ve been reducing the amount of practice flights that take place at the airport with the goal of lowering it from 10,000 flights in 2019 to 8000 flights per year starting 2023. What can you do, regarding air travel, to reduce your carbon footprint? First of all, you can choose to fly less or to use alternative modes of transport (like the train). Of course, this isn’t always possible or ideal as sometimes it’s simply not practical to travel long distances without the use of air travel. If flying is unavoidable, you can choose to offset your carbon emissions by donating to certain programs (like the Alto Mayo Conservation Initiative in Peru which aims to preserve the rainforest) to support a CO2 reduction roughly equivalent to the amount of CO2 emitted during your flight. You could also choose an airline that’s known for investing in more fuel-efficient airplanes or for using biofuels. I’ve made a small survey about my fellow students’ willingness to reduce their (aviation related) carbon footprints. Very clear and structured article. You’ve listed the negative effects in a good way and explained it in detail. Great solutions too, but I have a question about another solution. Is it possible for airlines to raise the price of short distance flights (e.g. Brussels – London), because catching the train is a lot more expensive. For the rest, very nice article and nice survey. I knew that air transport was bad for the climate and that it has a big impact on the environment, but that it had so many different aspects I didn’t know. I found your article very clear and interesting to read, I highly recomend this as it is very broad. I couldn’t have done it any better myself. Maybe try to add a personal reflection question in the end as it is something very common.